Yesterday morning was a bit off, warm air aloft above 2280 meters created a lot of moisture in the cloud, if you skied down 200 meters the cold air would freeze the moisture. The day did get better with time and in the end there was some fantastic light . As of 06:00 hours at 2280 meters the temperature was -5, winds were 20-35 KPH from the East. At 1650 meters 1 cm of new snow was recorded with a temperature of -3.5. In the valley it was -3. For the forecast expect yet another unsettled day with light snow as a series of wet pacific fronts come into our area. Today we could see 3-6 cm of snow with another 5-10 cm by tomorrow morning. Snow is expected each day until Thursday. Conflict in the amounts we may see so at this time I am sitting on the fence until updated models are published. Just back from a 4 day trip up the Duffey. 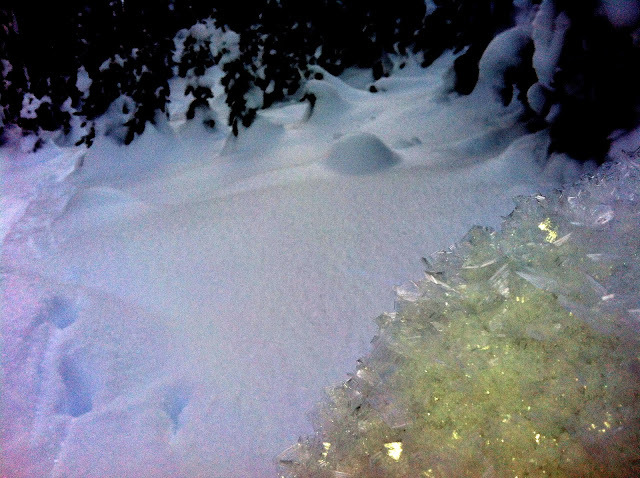 High Alpine was generally wind hammered, below tree line was good skiing in mainly on 10-15mm surface hoar. The temperature inversion also left a crust on south and SW faces. A future layer to contend with! 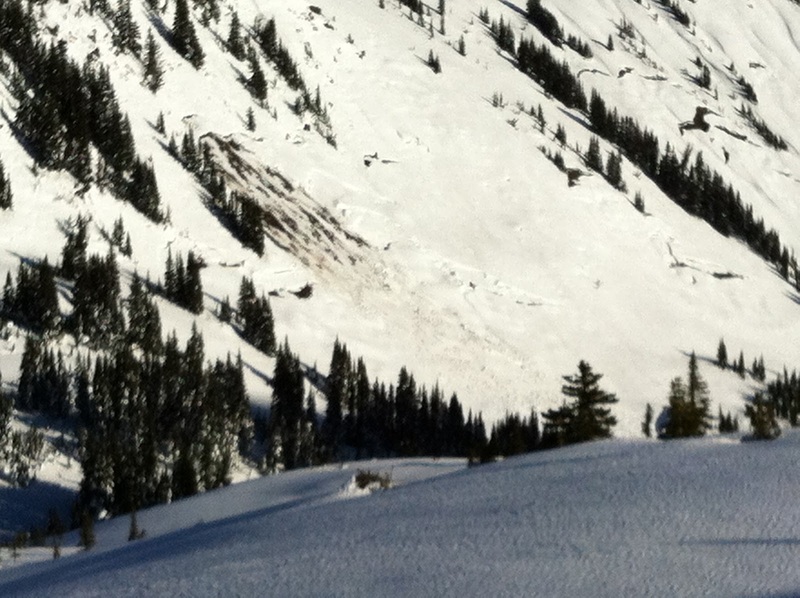 The Snowpack is well settled with no real weak layers when we were there. 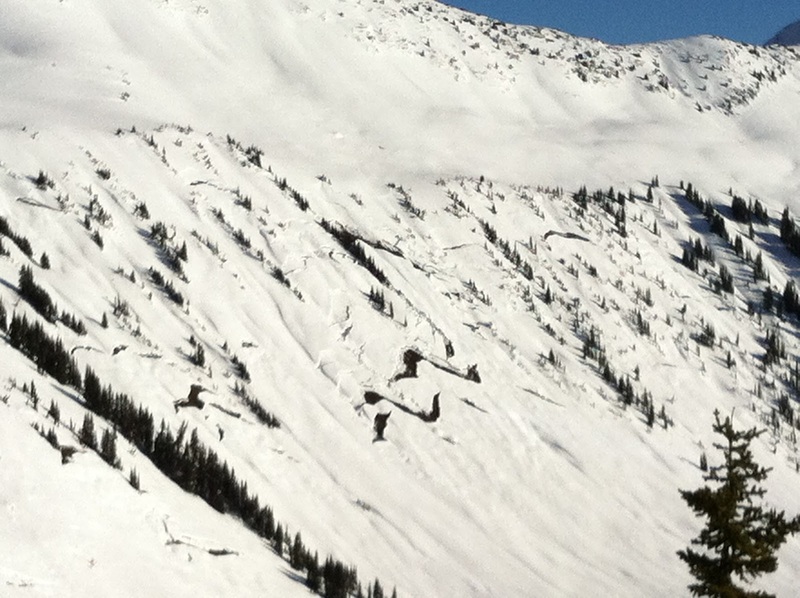 Numerous glide cracks on south aspects, one released to ground sz2 within the last few days. 10-15 mil surface hoar taken with an I phone at dusk.